A campaign was launched against such offenders to keep a check on drunk drivers. 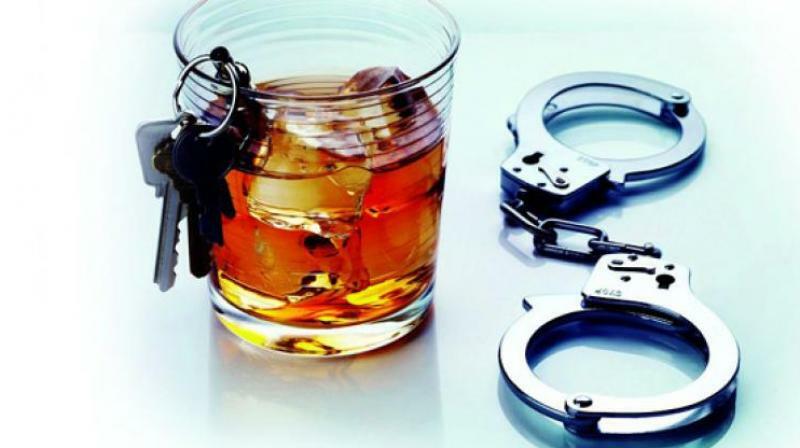 Hyderabad: A comparative statement furnished by the city traffic police showed a major increase in cancellation of driving licences in drunk driving cases. A total of 1,368 licences were cancelled in 2018, as opposed to 173 in 2017. A total of 26,779 cases were reported and 5,148 were jailed. With the use of technology and high-end gadgets, evidence based booking of violations and the rate of convictions against violators increased. In all, 5,148 drunk drivers were jailed. under the influence of alcohol, save lives and physical disability to the driver himself and other occupants of the vehicle. “Each drunk driver is counselled in the presence of his or her parents, spouse or guardian at theTTI (Traffic Training Institute) Goshamahal and TTI Begumpet. This special drive by the Hyderabad Traffic Police has contributed tremendously in reducing road fatalities.